Despite the fact that No Man’s Sky, the highly anticipated game by British developer Hello Games has been in the works for more than four years now, it will be getting one of the biggest first day patches for any console game yet seen. Because even if other high-profile releases like Uncharted 4 also had a big day one patch, the sheer amount of new features and improvements added by the Hello Games team is staggering, taking into account that the game went gold just a couple of weeks ago. This patch not only makes galaxies up to 10 times bigger, but also adds new hazardous planets with extreme weather conditions like dust storms, plus the game’s survival gameplay has been tweaked so that recharging the suit’s hazard protection will require rare resources in-game. Also, the stats for hundreds of upgrades (such as spaceship upgrades, for instance) have been reworked, and many players will also be happy to hear that both the spaceship and suit’s inventories have been made larger, which according to the patch notes has been done to encourage exploration. The patch also adds cosmetic changes like more varied skies, and the game’s graphics have been improved with better shadows and increased texture resolution. It’s hard to know what to make of this launch day patch for No Man’s Sky though, despite the wealth of features it adds to what undoubtedly is one of the year’s most eagerly awaited releases. Because taking into account that this game has been in development for years, shouldn’t all of the game’s key features be in place and working in the game’s launch week? 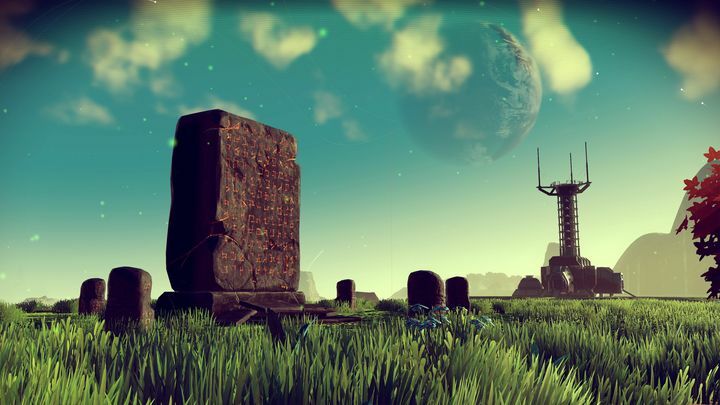 It feels odd to me that a big, complex game like No Man’s Sky would require so many last minute additions and refinements to play well, and this massive launch day patch suggests No Man’s Sky might not offer the great gameplay experience developer Hello Games has been teasing for months now, and seems more a response to the negative fan feedback and early user reviews on Reddit from those who got hold of early copies of the game. But still, the game’s release date is very close now and even though it’s hard now for No Man’s Sky to live up to the massive pre-release hype, here’s hoping it still turns out to be one of the year’s top video game releases despite the controversy leading up to its launch. Note: No Man’s Sky will be released on August 9 in the US, and August 10 in the UK and Europe. Available on PS4 and PC. Is Pokémon Go a bad game?